For us consumers, buying something on lay-by is a huge win. 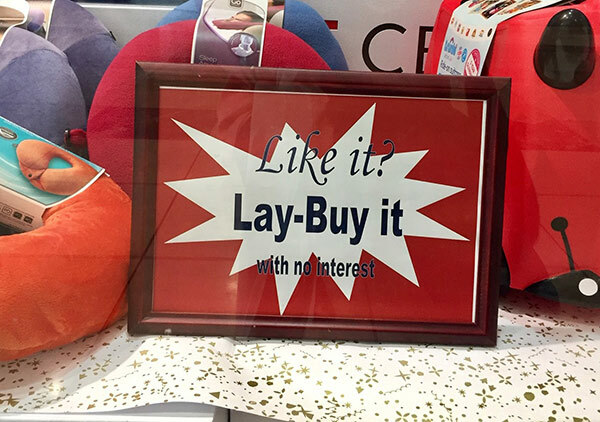 And because of the tough economic climate, lay-by has suddenly gone mainstream – retailers big and small are now offering lay-bys, because they’ll lose out if they don’t. Lay-by allows consumers to choose an item – a pair of shoes, for example – and pay them off every month, with no interest added. According to the Consumer Protection Act, you can cancel a lay-by at any time, and must be refunded all payments you’ve made up to that point, minus just 1% of the retail price as a cancellation penalty. So if the shoes cost R1,000, the cancellation penalty is just R10 – virtually nothing. Importantly, the stores must refund you – they can’t issue a credit note instead, locking you into buying with them again. I must admit, as much as I champion consumer rights, I think the 10% cancellation fee – which was legal before the CPA reduced it to just 1% – was fairer to retailers. But no-one forces a company to offer lay-bys – if they think it doesn’t make financial sense for them, they mustn’t offer it as a payment option. It’s that simple. That’s what I said to the owner of Rosewood Boutique this week when a man complained to me that when his wife tried to cancel her lay-by at the Phoenix Plaza branch – one of five Durban branches specialising in Eastern wear – she was told the cancellation fee was 15% AND the refund would be in the form of a credit note, not cash.